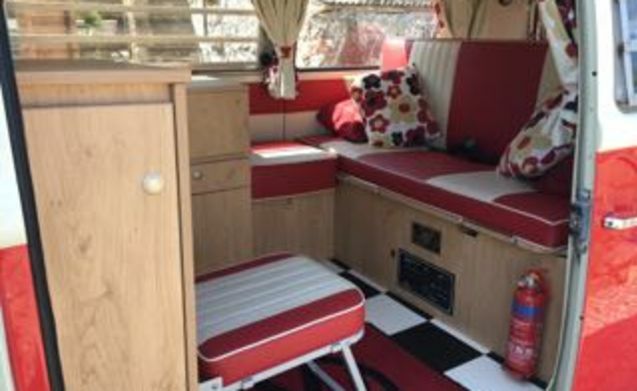 Over 40 years old, Poppy is a proper style icon, the epitome of retro-chic with her beautiful bright ‘poppy’ red and white paint work, matching curtains and modern interior. 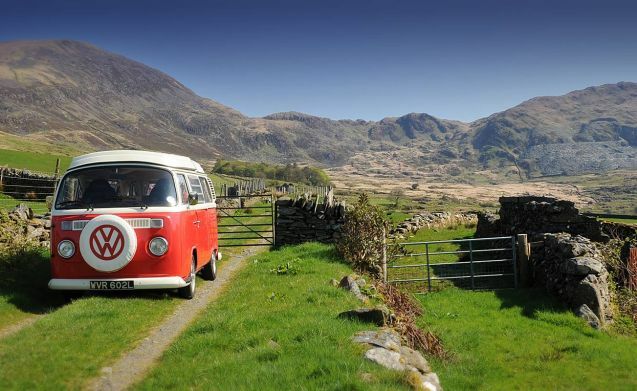 Poppy loves nothing more than pulling up and discovering somewhere new. 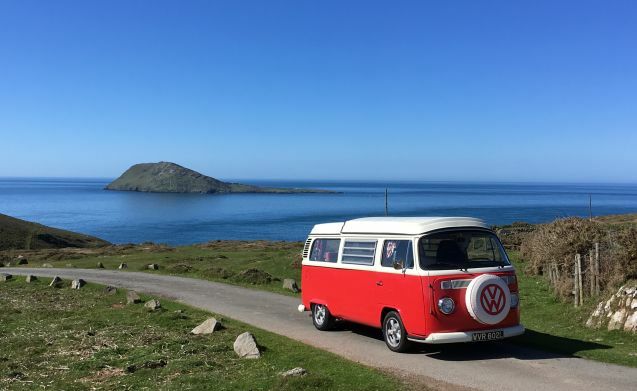 Poppy is a 1973, right hand drive, 4-berth Bay campervan but is happy to take up to 5 passengers with her on holiday with seatbelts for all. 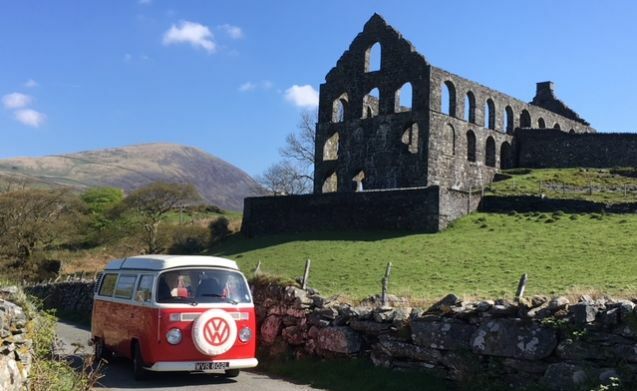 For those who aren't familiar with campervans, her back-seat folds down to make a spacious full width double bed, and the roof pops up to make another sleeping space above. 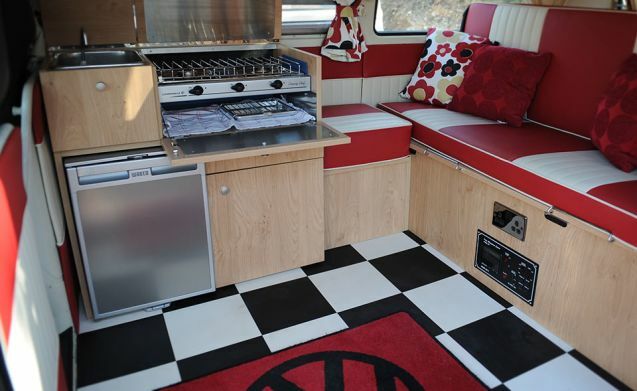 The ¾ width bed in the roof is a little more snug but is ideal for small 2 children. 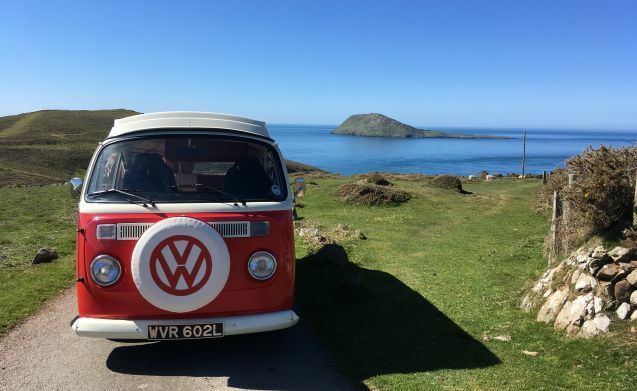 Poppy comes equipped with everything you need minus a towel, bedding, and clothes for your next adventure. There is storage for your gear but space limited so please bear this in mind when packing. 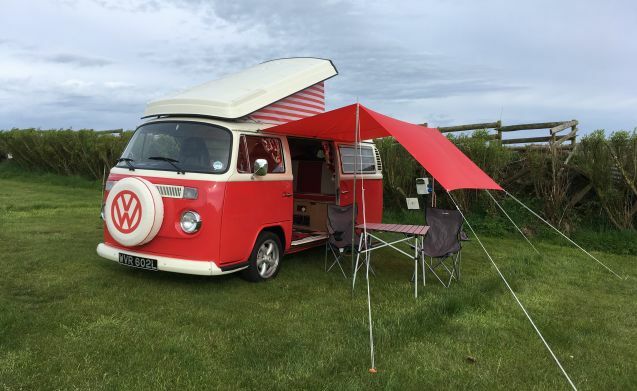 If you find you need more living and/or sleeping space, we also have an optional awning that can be hired to compliment your campervan experience.